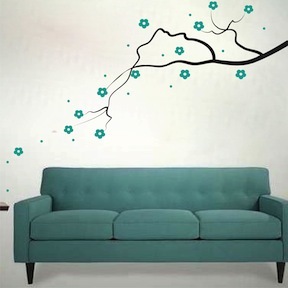 Decorate your interior with our Elegant Flower Branch decal. Bigger size branch will automatically get bigger flowers ( total of 20 flowers, 8 big and 12 small). You choose the size, Branch color, Flowers color, and either as shown or mirror image. 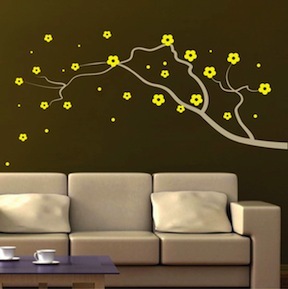 After you stick the branch you can simply just peel and stick the flowers and the little dots anywhere you wish. Great for all corners. All our vinyl wall decals are removable therefore they are perfect for permanent or temporary decorating. 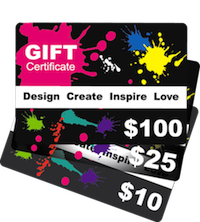 Designs available in over 40 colors. Our vinyls have a matte finish, they will appear as if the designs are painted on your walls. We use the highest quality vinyl and we have the best prices. Easy to put up and looks great. The flower decals were easy to move if I didn't like where I placed them. I also received some free butterfly decals which I added to my Flower Branch Wall Decal. I got this for my baby's bedroom. The room colors are pink, white and grey. I got the white branch with the powder pink flowers to go on an elephant grey wall. It looks amazing. Love it so much I am going to get two more for two other corners in the room. I got this as a christmas gift for my house. It is probably one of the best gifts I got. Looks great. the colors are black and blue. WOW, this looks wonderful in my living room, it's simple and elegant.